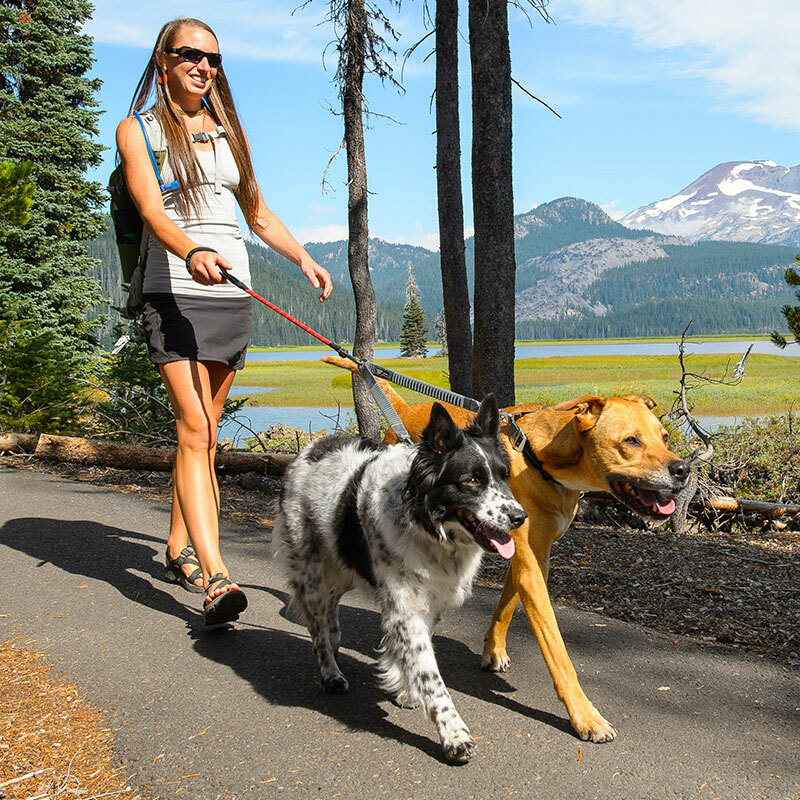 The Ruffwear Double Track Coupler is a leash adapter that allows easy, tangle-free walking of two dogs. 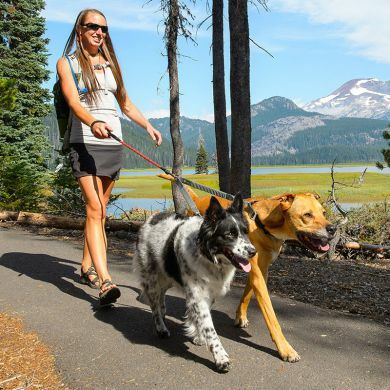 Wavelength stretch webbing absorbs shock, providing a comfortable experience for dogs and their humans. 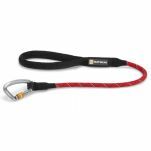 The swiveling Crux Clip provides strong and secure attachment to both dogs. 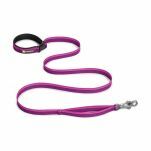 Each leash section is 30cm long, extending to 48cm. 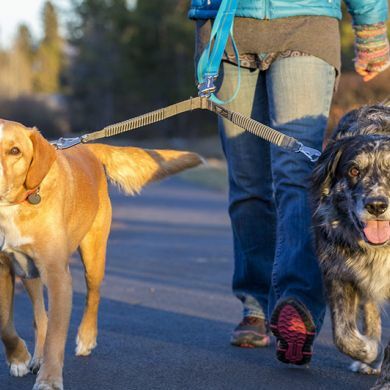 Combine with any of the Ruffwear leashes for the ultimate multi-dog setup. 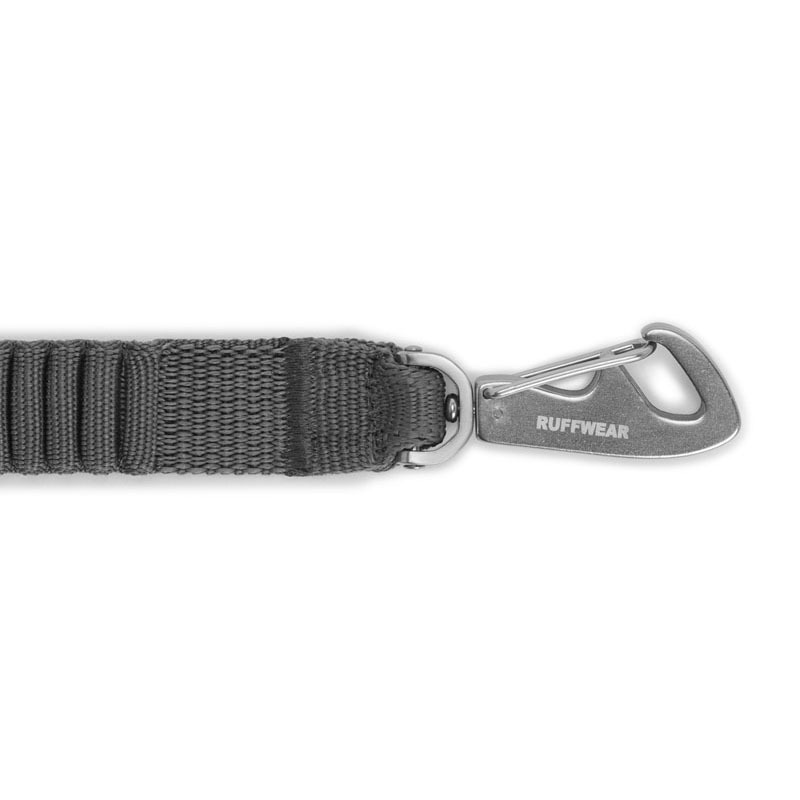 I had been waiting for Ruffwear to introduce a coupler. 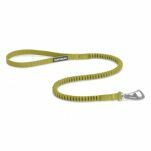 I bought this along with the Knot a Leash from Ruffwear. 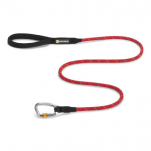 With this, I can walk two Pharaoh Hounds at the same time and the bungee extension has made it so much easier. It absorbs the jolts and the strain. My only wish would be for more heavy duty attachment points to the collar but so far so good. 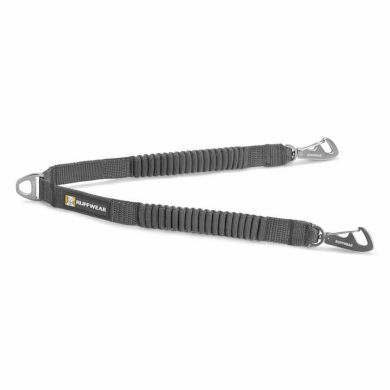 I would have liked a carabiner attachment for peace of mind. Read 4 customer reviews of Ruffwear Double Track Coupler. The average customer rating is 5. 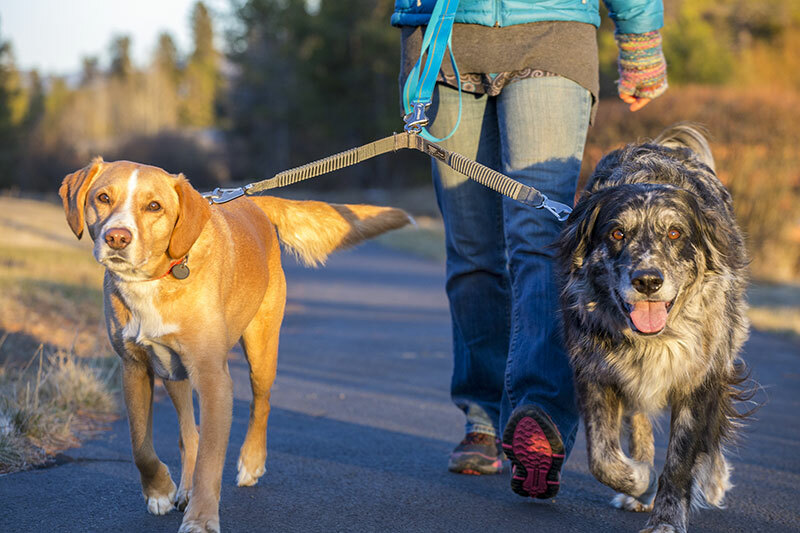 High quality lead that makes it easier to walk my enthusiastic labradors. 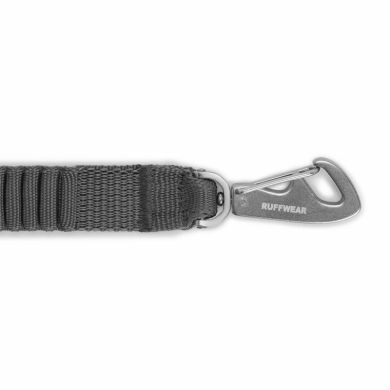 The clip design makes them easy to attach and remove. Loving this coupler, lightweight but strong and easy to clip on unlike my last one from another brand that was heavy because of the cast metal clips that eventually broke.